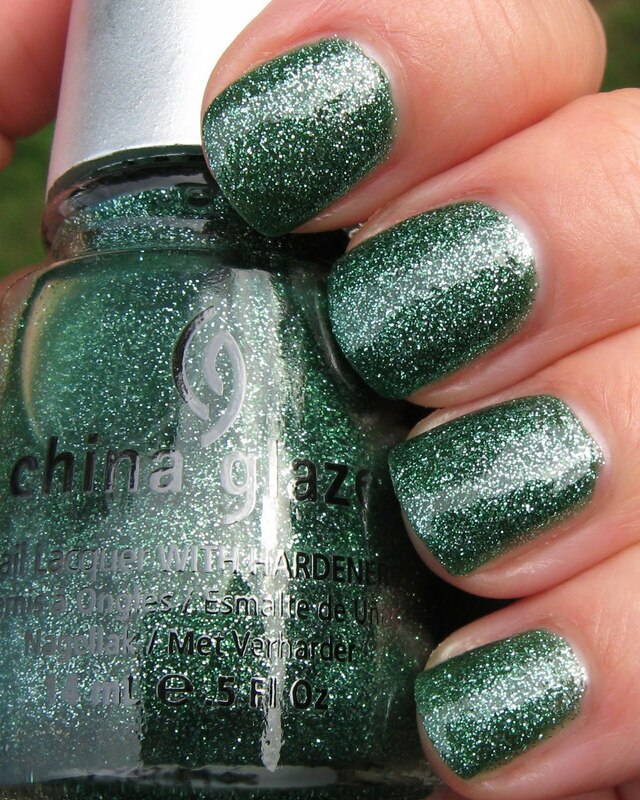 Mistletoe Kisses is one of several green shades in the China Glaze 'Tis the Season Holiday Collection. The base shade on this reminds me of spearmint--not as light as a mint green, but certainly not a darker, forest-type green. 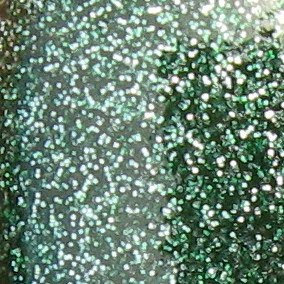 It's filled to perfection with tiny lighter green and silver glitter that twinkles and sparkles. I used 2 coats with no formula issues. This is a nice variation on a green polish for the holidays, because it's not your typical emerald jewel-toned shade. I seem to have a growing abundance of that type of shade, so this one's a welcome addition to something green and holiday-themed. My photos were taken outdoors under mostly cloudy skies, and I would like to point out that because the lighting was a little darker than normal, I think the green base in my photos is showing just slightly darker than what it looks like in real life. As I mentioned in an earlier post, I ended up with 2 sets of the 'Tis the Season collection, so I'll be giving away a new bottle of each shade that I post. If you'd like to enter, just leave your eMail in the comments section below. I'll leave the entry time open until I post again tomorrow, at which time I'll also announce the winner. Im not into the Christmas collections, but I really like this color! This is my favorite color from the collection! that is so pretty! 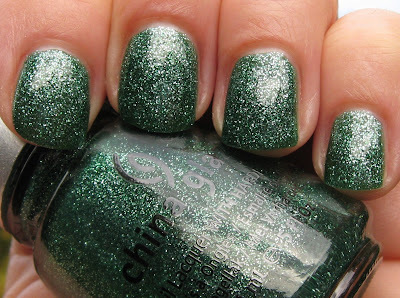 ive never seen a polish like that yet.. its so festive but not overly so. hope youre having a great day! This is such a pretty color and totally different than anything else I own. Gorgeous color. Very pretty shade of green. Very nice! I really like that it's not a typical holiday green. I love this colour! I'll love to try it layered over a darker green base. Please enter me in your giveaway! cherylcherylcheryl at gmail dot com. oh man, i adore it! love the new twist on green! I can see I'll be getting a lot of this collection. I would like to enter! I am a follower via google reader, hope that is okay. Thanks! 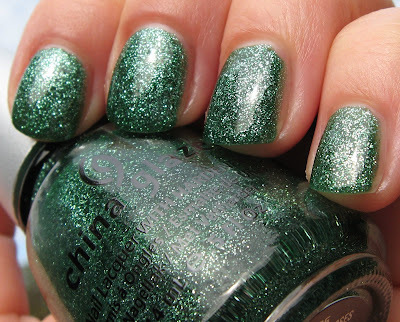 I thought I loved Peace on Earth but this is a lovely color, too. Thank you for showing us how these look before we try them out.